* This rustic canvas print brings a touch of traditional charm to your home. 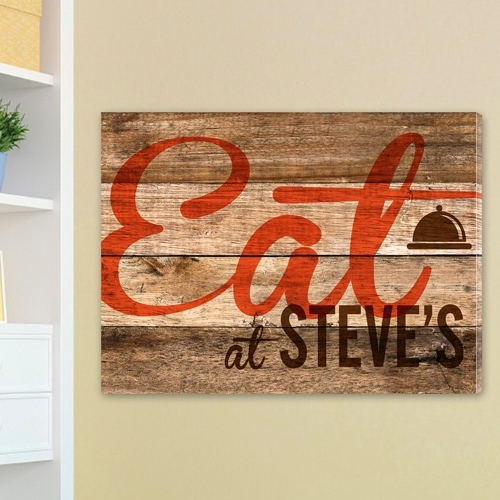 * It features an attractive wood texture background with a painted dinner bell icon and personalized message. * The perfect addition to country and western décor, it can also make a great gift. * Printed products take 2-3 business days. 24" x 18" x 0.5"